Daniel Cherbonnier is in his sixth season with the Golden Hurricane. He served as a graduate assistant his first four years, but was promoted to assistant coach prior to the 2017 season. Last year, TU had just six wins, including three victories in conference play for a sixth-place finish in the American Athletic Conference. The Golden Hurricane did defeat #1 Stanford (2-0), who went on to win the 2017 College Cup, as well as #19 SMU (1-0) and tied #25 Wisconsin (2-2). TU recorded its third-straight American Athletic Conference tournament title and played in the first round of the NCAA Championship in 2016. The Hurricane tallied 10 wins, including six shutouts, and faced three top-25 teams for a 1-2 mark. During the 2015 season, Tulsa captured The American tournament championship for the second-straight year, and advanced to the second round of the NCAA Championship. TU totaled eight wins, three shutouts and faced nine teams ranked in the top-25 for a 1-5-3 mark in those contests, including a 3-2 overtime win over 16th-ranked FIU in the first round of the NCAA tournament. In 2014, the Hurricane posted an 11-6-3 overall record, including a 5-2-1 mark in the American Athletic Conference, captured The American tournament title and played in the first round of the NCAA Championship. TU played five top-25 teams for a 3-1-1 mark, including a 1-0 win over then third-ranked Virginia, which claimed the 2014 NCAA Championship, and had seven clean sheets on the season. 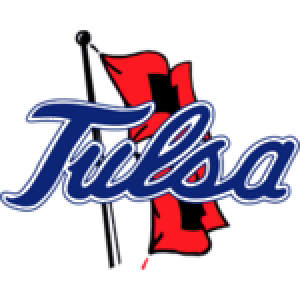 The Golden Hurricane earned 11 victories in 2013, advanced to the Conference USA title game. 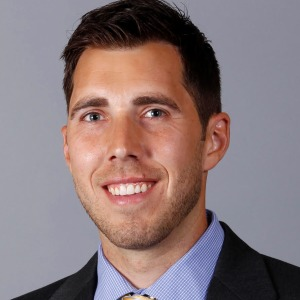 Prior to coming to Tulsa, Cherbonnier spent six years as an assistant coach at the University of Texas at Tyler where he assisted in all aspects of the program including coaching, recruiting, goalkeeper training, academic advising, administrative duties and camp organization. While at UT Tyler, Cherbonnier helped the Patriots compile a 72-29-14 overall record and a 50-15-10 mark in the American Southwest Conference. During the six years, UT-Tyler won three regular season conference championships, three ASC tournament championships, and had a program-best NCAA Elite 8 appearance. On the field, Cherbonnier helped coach three All-America selections, nine all-region honorees and 38 all-conference performers. Off the field, he helped produce 52 Academic All-Conference players, while the team earned the NSCAA Team Academic Award. Cherbonnier also had coaching stints with Bishop T.K. Gorman High School, All-Saints Episcopal School, Tulsa Soccer Club and Azzurri Soccer Club.